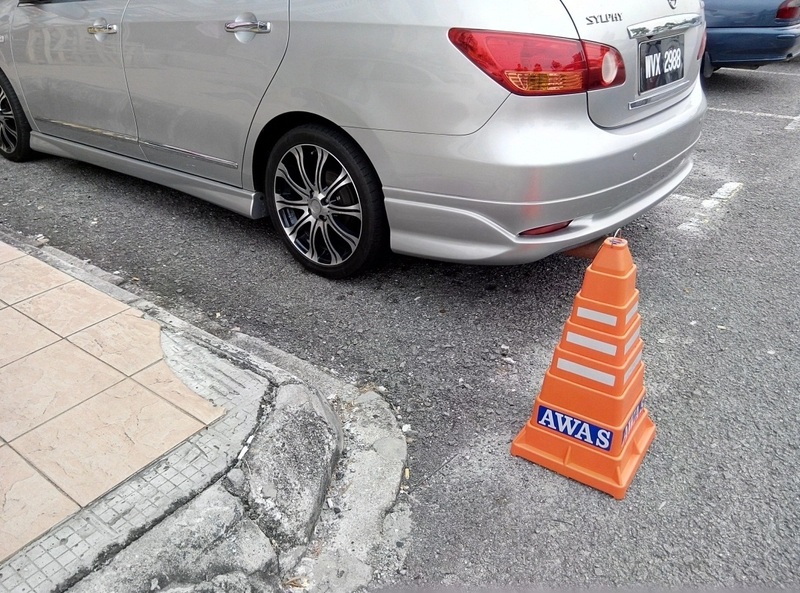 MY Professional Collapsible Safety Active Square Cone..
An innovative new road safety concept designed exclusively for Malaysian road users. 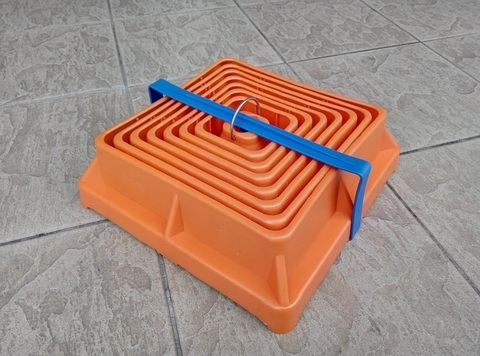 Can be flattened for easy storage and portability, saving you valuable boot storage space! Made from fluorescent orange plastic reflective stickers. This ensures higher visibility during daytime and night time! 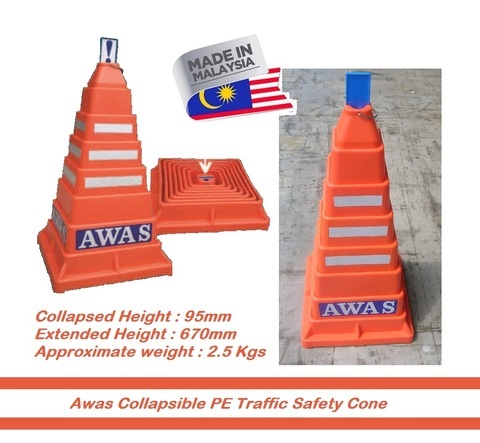 Collapsible PE traffic safety cones are placed on roads or footpaths temporarily as a mean to redirect traffic safely. 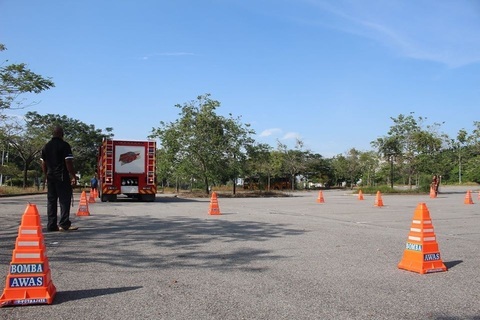 They are often used to create separation or merge lanes directing road users to ‘Stop-Check’ operations by traffic police or during automobile accidents. 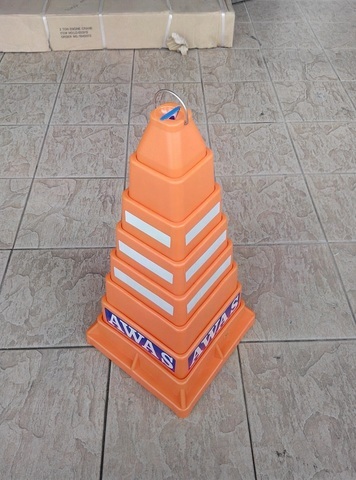 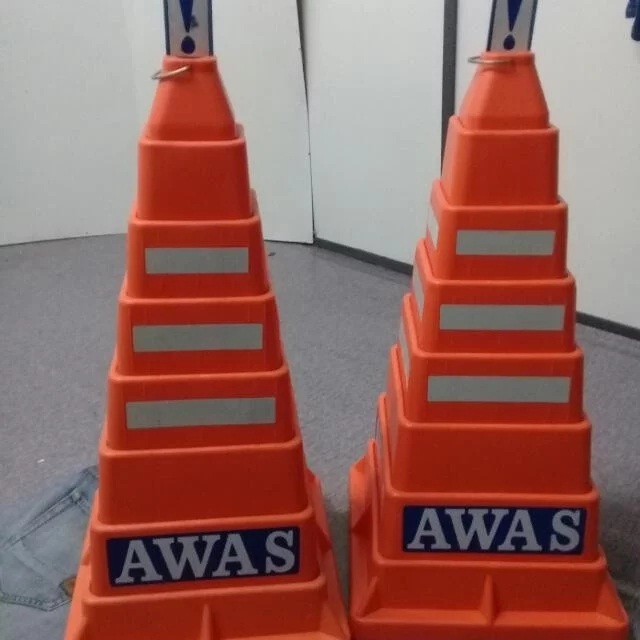 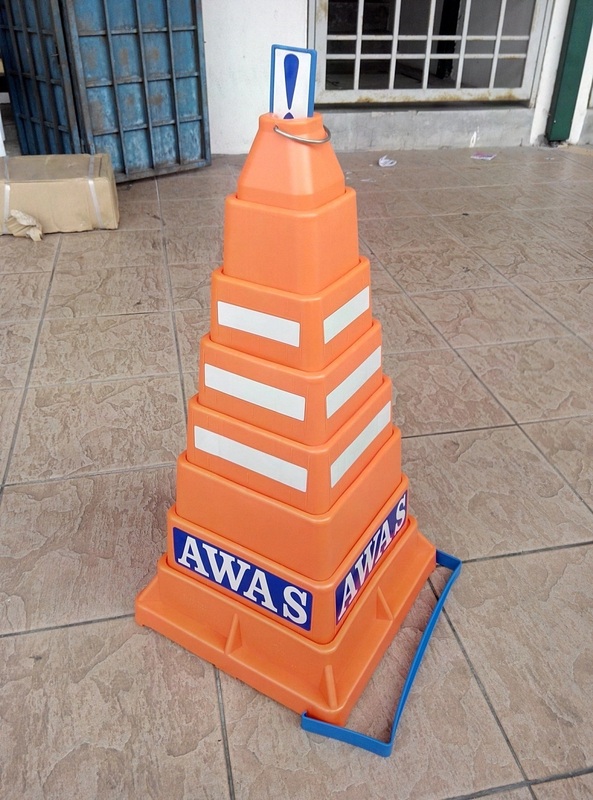 Collapsible PE traffic cones are popular as they are effective in traffic control management and most often collapsible traffic cones are also used to block off an area.